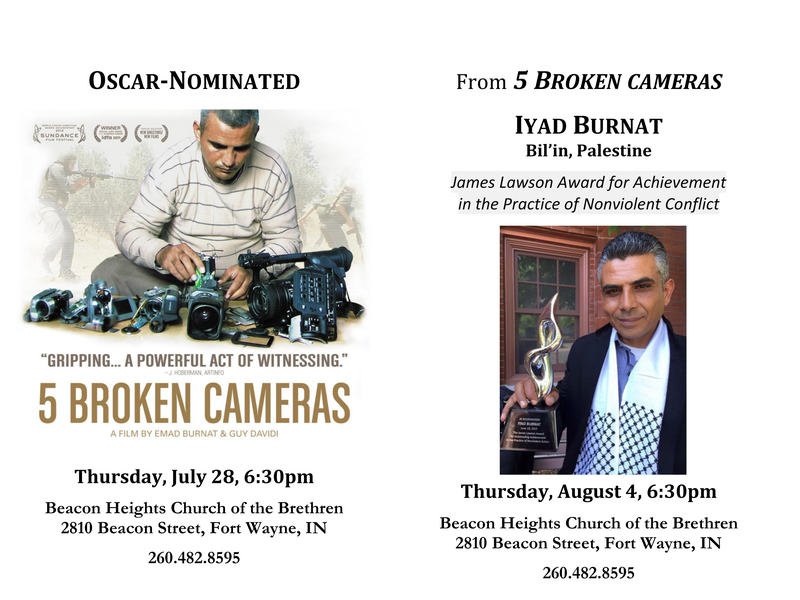 Indiana Center for Middle East Peace has the great honor of internationally-recognized peacemaker Iyad Burnat. Iyad is a leader in the non-violent struggle in the occupied West Bank against the illegal occupation and continued ethnic cleansing that is occurring in the West Bank. He is the head of the Bil'in Popular Committee against the Wall, which is the subject of the Oscar-nominated documentary 5 Broken Cameras. Iyad has led weekly demonstrations since 2005 against the illegal Israeli Separation Barrier and encroaching settlements. He is the recipient of the James Lawson Award for Achievement in the Practice of Nonviolent Conflict 2015.